Why pay a website designer when you can do it yourself with the help of Live WordPress Training? WordPress isn’t very complicated once you get the hang of it. If you can make changes yourself, you won’t have to wait or pay for a website designer for your updates. 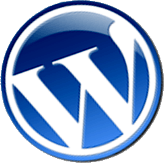 If you have a WordPress website, but just need a little help with learning how to update it, I can help. I have 20 years of website design experience. I offer Live WordPress Training sessions using a screen sharing program so you can actually watch what I’m doing while I explain and answer questions over the phone. This is how I have trained many of my own clients who prefer a more hands-on approach to their website. Save your time stumbling around and being frustrated! I have designed hundreds of WordPress Websites and I can help you figure out the things that are driving you crazy! How does Live WordPress Tutoring work? Give me a call and we set up a time convenient for both of us to have a live training session. Before our session, I will email you a link to view my computer screen from your computer. You will need to know your WordPress username and Password. You will need a phone headset, Bluetooth or speakerphone since we will be talking on the phone while doing your training session. It is recommended that you use a computer with at least a 17-inch screen. This won’t work well on a tablet or phone. Have your questions ready, and together we will tackle them while you watch! How Much Does Live WordPress Tutoring Cost? I charge in one-hour increments. One hour of my time can save you days of frustration! The cost for one hour of Live WordPress Training time is $80.00. Additional time will be charged in 15-minute increments of $20.00. I will invoice you in advance for the initial hour. If we don’t use the entire hour, you may use the balance for a future training session. You may request a refund of the balance if you prefer. To sign up for this training, give me a call! I can usually schedule evening sessions and even “I need help NOW” sessions.